The layout of your garden should enhance your home. The layout of your garden space should enhance your home and improve the view from inside as well as outside – a well tended, attractive outdoor space lifts the spirits and mood, even on dull winter days. It should work with your lifestyle and be easy to look after – basically, it should enhance your life, so if you’re struggling with it, it might be time to seek help from a garden designer. 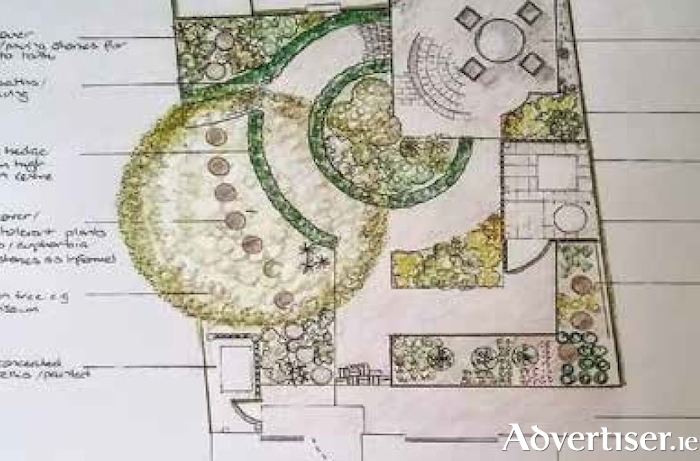 As well as helping you with the layout, your designer will be able to advise you on plants for your garden, which can be tricky to get right if you’re not naturally green fingered, and sometimes even if you are! A good designer will listen carefully to you as you explain what you need, and find a way to make it work for you with your budget in mind, as well as coming up with ideas or solutions that might not have occurred to you. You can make a wish-list, put together a Pinterest board, or keep pictures that appealed to you from books and magazines – all of these will help you get your thoughts in order and prioritise what’s important to you. If all of that seems like too much work, though, don’t worry, your designer should be able to figure it all out for you and present you with plans that will tick all the boxes. These wintry nights are ideal for settling by the fire with your garden plans (and maybe a glass of good red wine! ) and getting your thoughts in order, ready to get cracking on your project in the new year, as you look forward to the next year of colour and – fingers crossed! – sunshine in the garden.